Real Estate Team, Realtors® with 57+ years combined experience. RE/MAX of Conway-Team Parsley! Specializing in residential property in the Faulkner County Area. WORKING FROM SIGN UP TO SIGN DOWN!!! 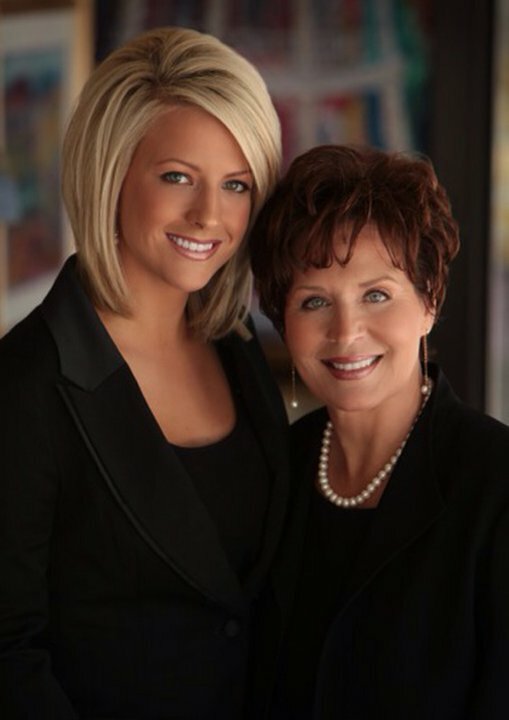 Michelle has 32 years of experience in Real Estate, Elizabeth has been in real estate for 5 years! VOTED READERS CHOICE BY YOU IN 2011, 2012, 2013, 2014, & 2015!! Team Parsley is #1 in residential sales for Faulkner County 2005, 2006, 2007, 2008, 2009, 2010, and 2011! Beautiful view of Lake Conway yesterday! What a beautiful sight!! Thankful for all who served! Bought a home in 2019 in Gleason, Conway, AR 72034. We could not have had a better experience with Michelle and Elizabeth. They helped us find our new home, we paid exactly the price we wanted and the closing went very smoothly. We highly recommend this very professional team! Bought a Single Family home in 2019 in Conway, AR. Michelle Parsley will find the right house for your family. We gave her our "must-haves" and literally, she called in four days and said, "I have the house for you." We had been looking on zillow for two years, and were not sure whether or not to believe her, but indeed, she found exactly what we were looking for. I can truthfully say she listens to you and does not waste your time showing you houses she knows you don't want. Michelle is so helpful and gives service after the transfer of ownership has occurred. She and her daughter provide timely service, information, and help. For instance, she contacted a neighbor about a dead tree on their property that was hanging over our property. We had offered to pay half the cost of cutting it down. She made that happen and even arranged for the tree service to do the job. She goes above and beyond, and I highly recommend Michelle. Sold a Single Family home in 2018 for approximately $250K in Conway, AR. Best real estate agents we have ever worked with! They worked around our crazy schedule with my wife going to the hospital to have our baby. Then our first deal fell through at the last minute so they contacted everyone and found a new buyer in less than a week. We wouldn’t use anyone else in the Conway area. Sold a Single Family home in 2018 for approximately $175K in Conway, AR. The Parsley-Tucker team made the process of selling our home enjoyable and with zero stress! Their communication is top notch, and all of our questions were answered promptly and thoroughly. They have extensive knowledge about properties in Conway and we felt comfortable with them from day one. We would recommend them to anyone buying or selling a house! We could not be more pleased with this experience thanks to them! Sold a Single Family home in 2018 for approximately $300K in Greenbrier, AR. I can't thank Michelle enough for everything she did for our family. Michelle didn't just sell my parents house in less then a week she took care of our family. Because of health reasons we had to sell my parents home and move them 9hours away. I felt that Michelle became a member of our family in one of the most difficult times of our lives. Michelle went above and beyond to make sure the house was ready quickly and to help us every step of the way even though we were 9hours away. Michelle was a great advocate for my parents and she made sure the closing went smoothly. Michelle even came with a meal when our family members were packing up the house. Her expertise and caring was very appreciated! Bought a Single Family home in 2018 for approximately $275K in Conway, AR. Treated us like family from the very start! The team was so attentive and understanding with our home buying needs. I highly recommend the Parsley-Tucker team in the future. They truly put your best interests first and consider all things to make their clients feel comfortable. Bought a home in 2018 in Gleason, Conway, AR 72034. The Paraley-Tucker Team took great care of us each step of the way. They know the process inside out and helped us with all our questions. We definitely recommend them to anyone buying or selling a home. Sold a home in 2018 for approximately $175K. I cannot sing enough praises in regards to Michelle Parsley! She orchestrated the sell of our home beautifully. We needed to sell it and close quickly, and she made that happen. Everything was negotiated without a problem! What's even better, she handled everything and allowed the sell of our home to be as stress-free as possible. I will continue to recommend her to anyone in the Central Arkansas, Conway, Mayflower region. I am so blessed to have met this woman and her daughter Elizabeth! Bought a Single Family home in 2018 for approximately $200K in Greenbrier, AR. My husband and I highly recommend the Parsley Tucker Team! Michelle and Elizabeth both made our home buying process a great one. We moved from out of state, and they helped us get into our dream home! We are so grateful for their help and will use them again for all our real estate needs. They are such kind people, respond quickly when you need them, and they just made the whole process less stressful. Bought a Single Family home in 2018 for approximately $150K in Conway, AR. Tremendous help with the whole process. Responded quickly and answered every question. The knowledge and experience was unparalleled. They went well out of their way to show us houses promptly and gave us much needed advice.